Malwarebytes Chameleon is a free security utility for Windows which will trick viruses that have infected your computer and sneakily install Malwarebytes Anti-Malware on your PC. As you probably already know, during virus infections, especially during infections of the so called rogue viruses, actual antivirus programs that you have installed will become blocked and incapacitated, viruses will not allow them to run. That’s where Malwarebytes Chameleon comes into into play. Rougeware, fake antiviruses and other types of infections also are famous for blocking anything that might get them removed. They don’t stop at AV software that you have installed, they also block access to important Windows settings. 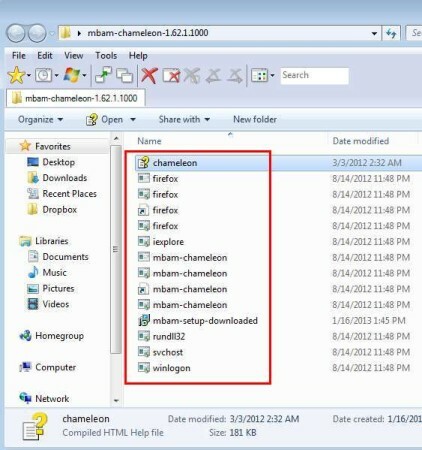 In these types of situations you need to use tricks to deploy protection; Malwarebytes Chameleon is one such trick. This is a command line application which will try and run the Malwarebytes Anti-Malware, if you have one installed. And if it’s not installed, it will download and install it for you automatically. Keep in mind that all of these things will be done secretly. Application process won’t have Malwarebytes mentioned anywhere, it will be registered as either firefox.exe, iexplore.exe or whichever one you’ve chosen from the list. Virus infections and fake antiviruses that have infected your computer won’t suspect anything and you’ll be able to install and run Malwarebytes Anti-Malware to scan your computer and get rid of them. 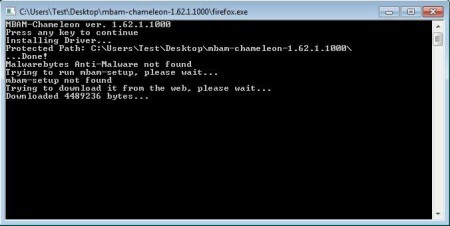 Malwarebytes Chameleon is a great way of how you can easily install Malwarebytes antivirus scanner on your computer, even after it has been infested with malware that blocks your main antivirus software and access to important system settings. To use it, you don’t have to have any kind of advanced experience, simply click on the executable, which will do everything else on its own from that point on. Your results may vary, make sure that you go over all the available exe’s before giving up. Try Chameleon since you have nothing to lose. If it doesn’t works for you, you can also try Kaspersky Virus Removal Tool, SARDU, and VIPRE Rescue.